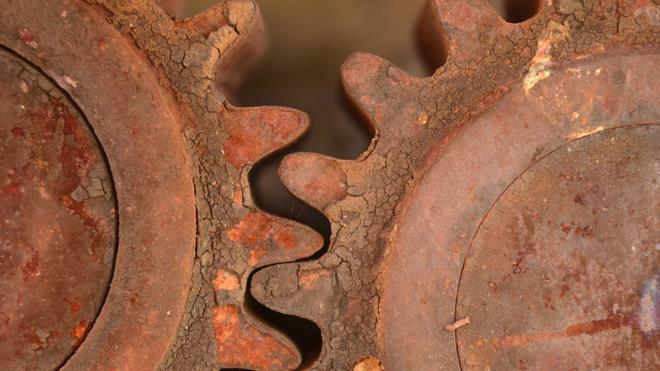 "We have been seeing more gear failures at our plant recently and are unsure why. Can you offer any advice for determining the causes of gear failures?" Several factors could cause an unexpected rise in gear failures. Start by investigating what is different since the failures increased. Are there different lubricants in service? Has the operating environment changed? Is there a cross-contamination issue? 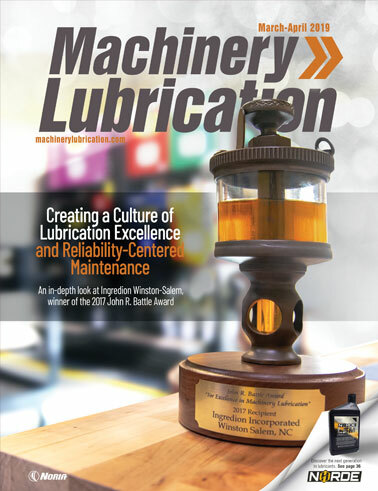 Have you changed your lubrication routines? A post-failure oil analysis investigation on these gears is recommended. Among the tests you should perform are elemental analysis and analytical ferrography. These two tests can provide great insight into what could be the root cause of the failures. Elemental analysis will offer clues as to which contaminant is inducing the failure along with which metals are being worn. Analytical ferrography can help indicate which type of wear is being produced. Abrasive wear typically will appear as metal particles with curls, spirals or loops, while adhesive wear normally can be seen as larger platelets or chunks with striations or tempered coloring. Surface fatigue wear generally will look like flat plates with jagged edges. The size of these particles can indicate the severity. The larger they are, the more severe the wear. Corrosive wear will resemble extremely fine particles that are too small to distinguish individually. In addition to oil analysis, conduct a visual inspection of the gearing and internal gearbox surfaces. Pinpoint where on the gear tooth the wear is occurring to get a better idea of which types of particles you should be looking for in the analytical ferrography tests. If there is excessive wear on the pitchline, you should have more surface fatigue wear, as this is where you see rolling friction. If there is more wear above or below the pitchline, you should find more abrasive and/or adhesive wear particles. Finally, review the procedures for maintaining your equipment. Are you following best practices for inspections and top-ups? 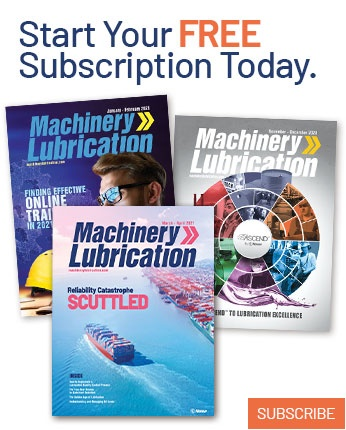 Are you complying with your plant’s procedures for receiving lubricants? Are you storing your lubricants correctly? There is always the chance someone has unintentionally deviated from best practices and has unknowingly introduced contamination. Once you know what is happening inside the gearbox to cause the failures, you can investigate and identify where the contaminants are entering the system and then remove the ingression points to bring your reliability back to its original state.